Obsessive? I prefer the word Fangirl. It started with Harry Potter when I was sixteen. Oh yes, I was that nerd who dressed up for release parties. From there, a love of books got me interested in writing, and my obsessive nature got my hooked on Kdramas/Kpop a little over four years ago. I have two published K-pop novels on Amazon. Because kdramas fans don’t spend all of their time living in Hallyu land as it is. When I’m not watching a show or writing, I spend time with my four kids and handsome hubby. 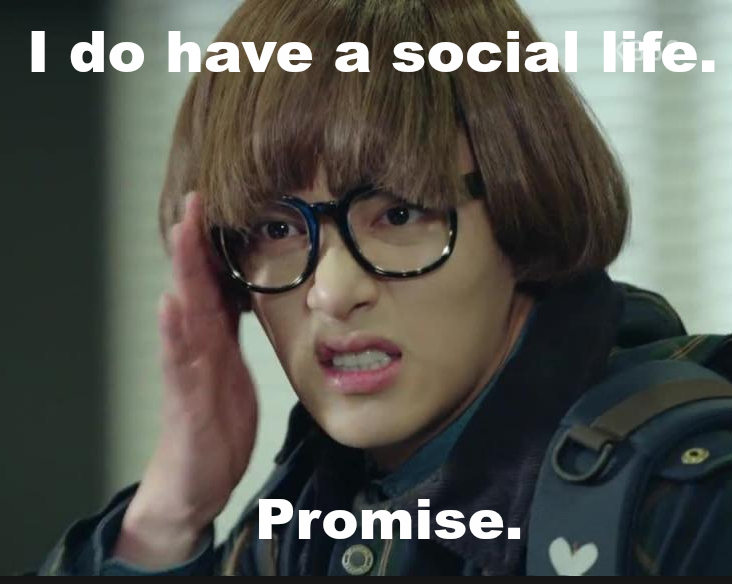 Yes, I’m an ahjumma. It’s better to give in and be surprised when someone calls me noona (someday). Some of my biases include Ji Chang Wook, Kim Soo Hyun, Ken from VIXX, and Key from SHINee. I could go on, but I’m sure you don’t want me to list EVERY actor/idol in Korea. It would take too long. Let’s just say my biases change often and there’s plenty of love to go around. Hallyu fan forever! !